The 10th Jesus Longboard Classic returns to Polzeath, over the weekend of 7 – 8 October 2017, with Mens, Womens, Juniors, Masters, Grandmasters and potentially another category for the really old boys! Because it’s a significant anniversary we hope to have one or two extra attractions as well to help make the event a fantastic weekend. The Jesus Longboard Classic is organised and run by Christian Surfers UK in partnership with the Tubestation, Polzeath. We already have Finisterre on board who will be providing prizes across the categories and we are currently working on more sponsors for the event. Last year’s JLC was such a success with a wonderful atmosphere around the contest. It was so good to see all the competitors hanging out, with plenty of banter between heats and of course enjoying the amazing hospitality provided by the Tubestation. Another tradition of the Jesus Longboard Classic is the surfers blessing which was particularly significant for many of the Christian Surfers volunteers and competitors alike, as they blessed each other with Leis and washing each others hands. 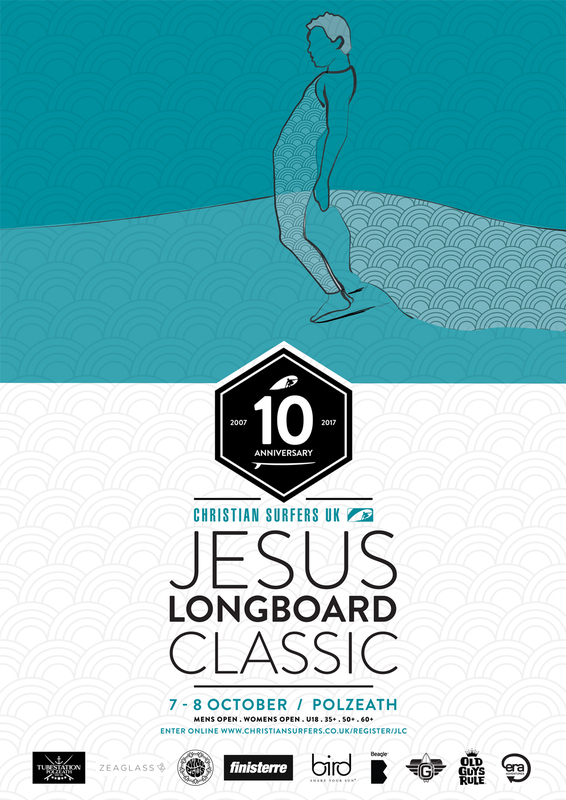 We are very much looking forward to celebrating the 10th anniversary Jesus Longboard Classic and will be praying for some classic conditions and great weather. Here a taste of what to expect from last year’s event.